House panel sets ‘buffer zone’ hearing for W.Va.
September 20, 2011 by Ken Ward Jr.
Now, we hear that the House of Representatives’ Committee on Natural Resources has scheduled a field hearing for next Monday here in Charleston to discuss the matter. Republican committee leaders are calling the hearing, “Jobs at Risk: Community Impacts of the Obama Administration’s Effort to Rewrite the Stream Buffer Zone Rule.” The witness list hasn’t been posted publicly yet, but I understand it includes West Virginia Coal Association officials, Tom Clarke from the West Virginia Department of Environmental Protection, and our old buddy from the United Mine Workers union, Roger Horton — who has said publicly that EPA efforts to reduce the impacts of mountaintop removal amount to “state-sponsored terrorism” or breaking into people’s homes at night. 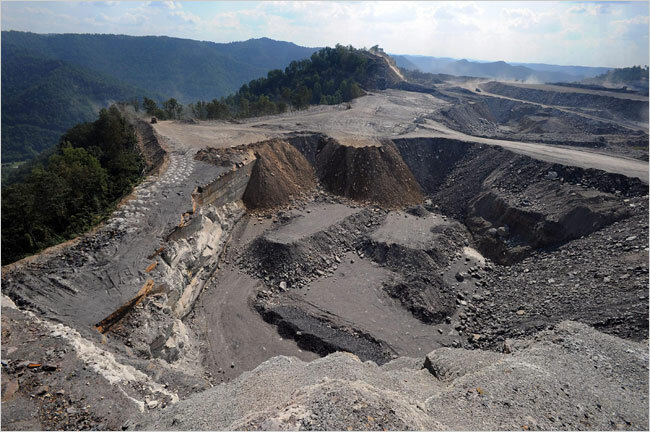 So, it’s clear that this hearing will provide another opportunity for a clear-headed, thoughtful, and reasonable discussion of the impacts of mountaintop removal on Appalachia and the industry’s role in the region’s economy. Because friends in Washington DC intervened, Maria Gunnoe and Bo Webb will also be speaking on the panel. It could be a good opportunity for the MTR industry to show their Republican friends that they can be polite and respectful. That they can be in the same room with Maria and Bo and not have miners harrass them as they come in or leave. And not boo them when they speak.